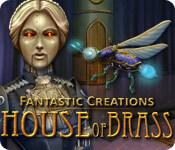 Fantastic Creations: House of Brass is rated 4.4 out of 5 by 110. Rated 5 out of 5 by orijojo from WOW This game is wonderful, bewildering and challenging. If I could I would give it 10 stars. As I can't do that I'm giving 10 stars to "Gi" the developer. Having bought the S/E I'm now considering purchasing the C/E, I didn't want this game to end. 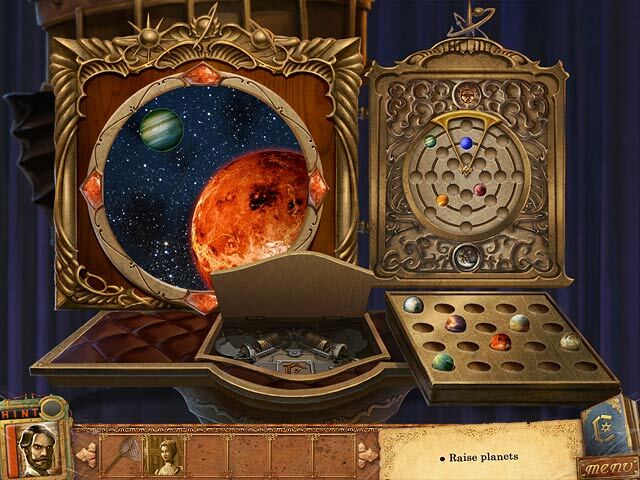 Rated 5 out of 5 by 2xblack_bird from Not to be missed A very different game with interaction with mechanical objects. Story briefly is that this inventor of mechanical gadgets spends so much time experimenting that his wife walks out on him. When you, the female player, arrives he mistakes you for his wife at which point the action starts. HO's are find objects by either finding 12 shapes of objects, 12 pieces of material etc. Not difficult by a very refreshing change from the junk pile HO's. The puzzles are very varied and mostly different from the usual run of the mill. Some puzzles are easy, some fairly difficult and some I had to skip but all very interesting, entertaining and inventive. Graphics are good and so are the locations of play. I have many games and I rate this as one of the best 10/10. One reviewer wrote there is quite a lot of backwards and forwards movement. Yes this is true but far far less than a lot of other games where these are quite exasperating. To my mind the moving around is quire acceptable and fits in well with the scenario. I thoroughly recommend this game. I hope GI games make another one. Rated 5 out of 5 by Boomer1097 from Enjoyable Game This game is a lot of fun to play. It is quite different from a lot of the darker/scarier games, which is a nice change of pace. You play as the grandchild of a women who once lived in this fantastic house. You land in the sub-basement and have to find your way out. The HOS are unique in that you find 12 of a specific item (square things, cylindrical things, gems, etc.). The mini games were fun, not too difficult. The mechanical creatures are so much fun. The voice overs are well done and the music is not bad. You definitely want to have the sound turned on so you can hear all the mechanical creatures/items. You collect diary pages as you move through the game. They are interesting and add to the back story. There is a map of sorts, but you don't really need it. The game is shorter than some, but it is so much fun. I almost wish I'd purchased the CE version just to have more game play. I highly recommend this game! 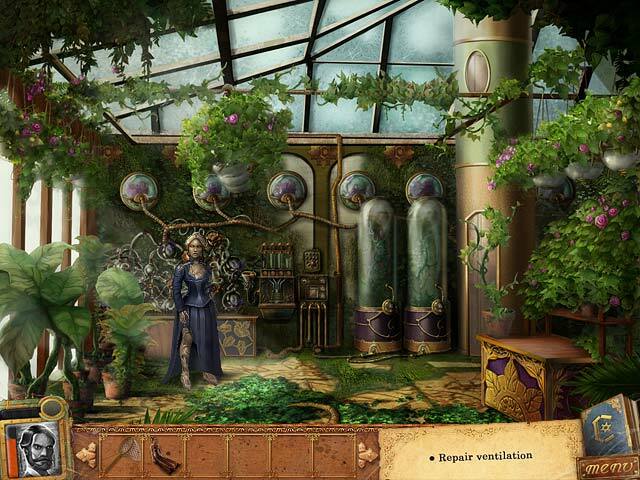 Rated 5 out of 5 by terricT from Charming game :The game does an excellent job with the theme of a mechanical house. The scenes have a distinctive, steampunk feel. 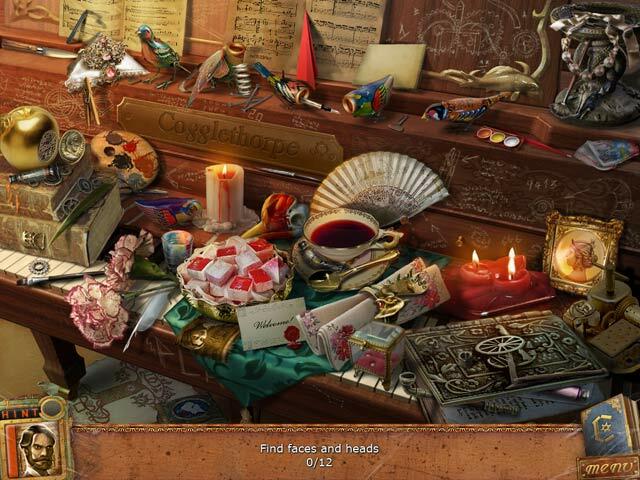 I like that the hidden object scenes are unusual. Instead of finding a bunch of useless items, you are asked to spot objects of the same type. The story is also interesting. You start out just exploring a mechanical house in need of repair. But then a sinister plot twist kicks in. Looking back, I can see some hints about the twist, but it is still a good surprise. Rated 5 out of 5 by Ethereal924 from Disgruntled Automatons of The World Unite I enjoy collecting steampunk-esque games and this is my new favorite. The story starts with the telling of a story and a mysterious capsule. The beautiful Victorian house from your childhood bedtime stories comes to life with the help of a clockwork firefly and your adventure has begun. Upon entering the code you've been given, a trap is activated which shuttles you many floors beneath ground level. You find a transmitter that allows you to communicate with Edwin Cogglethorpe, inventor extraordinaire himself. Is this guy still alive? He describes his lair as a "steam-powered house of clockwork, wonder and brass. It certainly is. Along the way you will reassemble his various creations,solve perplexing puzzles,search for hidden similar objects and dodge angry attack bots. This was a must-have for me. Good times. Rated 5 out of 5 by pcpat923 from Five Stars for Unique & Entertaining Storyline!!! Somewhere along the game I thought, "this is for children of all ages"! So, I happily continued playing. Was a lot of fun with the puzzles, finding differences or 12 this or that and working my way through the "house". Not only is the story unique, it's clean and there is certainly a mystery to be solved. Dark and dreary--be gone! More games like this, please! Thanks to Devs & BFG for bringing us this delightful game! Looking forward to a sequel. Enjoy! -Mama Mia- P.S. Really wish I had purchased the Collector's Edition. BFG, can we do a trade? I will pay the extra credit, promise! Rated 5 out of 5 by maughn from LOVED ok, so HOGs are my way of coping when I have mega deadlines or bar exams. I have played the good, the bad, and the boring. House of Brass is excellent - a nice variety of hidden objects, some really enjoyable puzzles that were difficult enough to make me think a little, but not so hard or annoying that it taxed my poor stressed brain so that I skipped. Gorgeous graphics, nice music, and a little story that unfolds at a nice pace. Great game! Rated 5 out of 5 by mitzi43 from Fantastic Creation - Fantastic Game Loved this - quite different in many ways. Backtracking, but necessary. Great puzzles and graphics.